Create colourful eZee Beads shapes to show off and there is no need to use the iron to make the beads stick together all you need is water. The refill pack is a great addition to your collection of beads and will give many more fantastic creations for little ones to experiment with colours, shapes and ideas as all you need is water to stick them together. 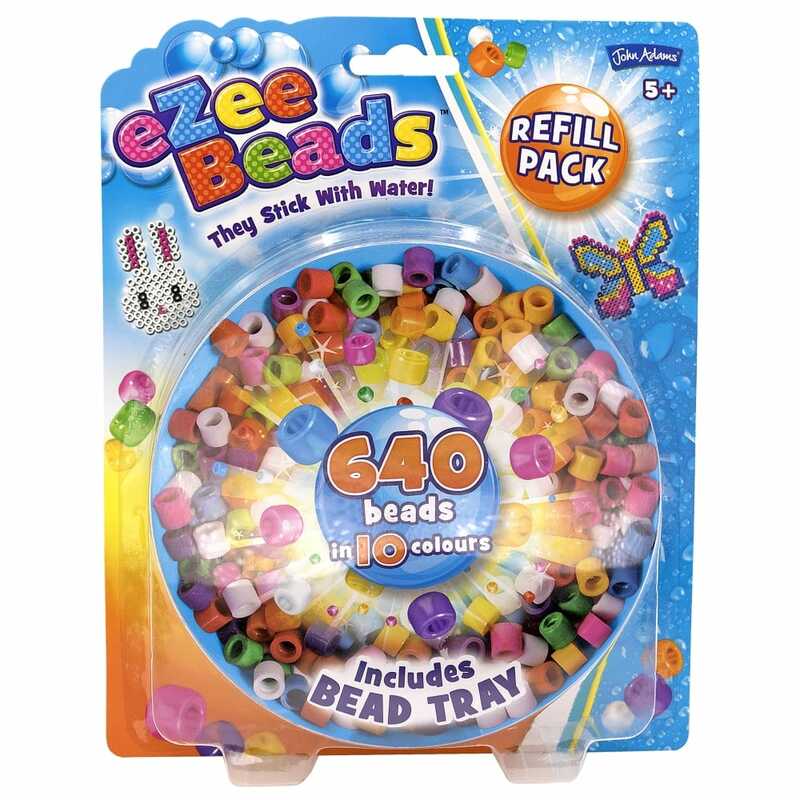 The refill pack contains approximately 640 beads and the pack transforms into a sorting tray.